Feral animal impacts affect our environment, economy and society. It is estimated that feral animal impacts cost Queensland’s primary producers approximately $215 million annually and the impacts on the environment may be even greater. The Newman Government supported a summit to address feral animal control in Queensland that was held on 27 June 2013 near Toowoomba. Over 50 organisations, primary producers, government departments and interested parties attended. A consultation draft has been released to participants and contributors for comment. From Wildlife Queensland’s perspective it is a step in the right direction. It certainly is an effort to coordinate approaches across government and the community in hope that the summit will have major benefits for Queensland. The Government aims to increase agricultural production by providing better management of feral animals. Mitigating the impacts by feral animals by reducing numbers and preventing new outbreaks will benefit the environment and its biodiversity. Even though the proposed positions and actions are not government policies, the government has recognised the feral animal situation as a problem and that current approaches are not delivering the outcomes required, which is to be commended. Several themes emerged from the summit such as leadership, prioritisation, awareness, best practice, research and collaborative action. Within each of these themes, ranges of specific to aspirational actions were suggested. The strategy has general support from Wildlife Queensland. From our perspective there are aspects that require modification and others to which we are opposed. Wildlife Queensland holds the belief that ‘Prevention is better than a cure’, which the Queensland Feral Animal Summit Consultation Draft starts to address in Section 3 on awareness and Section 5 on research. The consultation draft complies with and satisfies in broad terms the 3 goals of the Australian Pest Animal Strategy. However, there is concern that feral populations have been underestimated and adequate resources to implement the strategy will not be forthcoming. As a result there needs to be more emphasis placed on implementing an immediate containment policy restricting feral animals to existing habitats and range, with any outbreaks eradicated as soon as practical. Eradication within containment areas should be prioritised according to risk or threat combined with the likelihood of success. Over time it is essential that a strategic eradication program be implemented reducing both the extent of feral animals’ range and their population numbers. A major concern is that animal welfare issues are not adequately stressed and addressed. The use of volunteers to hunt feral animals is not supported by Wildlife Queensland. Relevant animal welfare legislation and guidelines must be adhered to and compliance with legislation regarding the use of firearms or other weaponry must be satisfied. It is desirable that any culling program should be accredited or endorsed by RSPCA. Should this not be feasible, an independent evaluation by recognised authorities not associated with the program should be undertaken. The need for post-mortem on a statistically significant and randomised number of samples may be required depending on circumstances to ensure compliance with appropriate animal welfare codes and allay any concerns of animal cruelty. A code of humane killing of feral animal species must underpin any control program. Wildlife Queensland would prefer culling to be carried out by accredited operators with established proficiency in the use of firearms or other weaponry likely to be used. Wildlife Queensland is of the opinion that a compliance and enforcement program is an essential component of any effective feral animal control program. We feel that landholders and local authorities have an obligation to themselves and future generations to ensure that invasive plant species and feral animals have a minimal impact upon the natural environment as biosecurity is everyone’s responsibility. Wildlife Queensland believes the government must comply with their own regulations and fund management of invasive species and feral animals on government properties and land. Additionally, Wildlife Queensland feels there is a need for strong border control to continue limiting illegal passage of introduced and invasive species into Australia as managed by the Department of Agriculture – formerly Department of Agriculture, Fisheries and Forestry (DAFF) Biosecurity and Australian Quarantine and Investigative Service (AQIS) – to maintain the restriction of movement by unwanted species. Similar action is required at state borders to avoid or at least minimise the introduction of invasive plants and feral animals into the state. 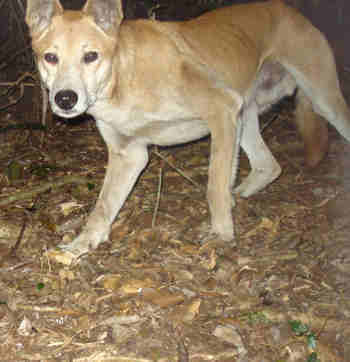 The government needs to place greater stipulations on controversial species such as dingos and engage in further research to determine where and if management of this wild species population is required. Research for more humane alternatives than sodium fluoroacetate must continue. Wildlife Queensland suggests greater emphasise be placed on reporting and reviewing to see if new and altered strategies being employed are being done in an effective and efficient manner. As importantly, there is a need to determine whether objectives are being achieved. This will allow room for further adjustments and alterations to be made accordingly, promoting sustainability and ensuring the conservation of native species and their habitats for generations to come. Wildlife Queensland appreciated the opportunity to comment. We reiterate that the protection and conservation of native species is to a large degree dependent on an effective feral animal and invasive species management program. Wildlife Queensland trusts that the Newman Government continues to address and amend policy in this area, as well as show firm commitment by adequately funding feral animal and invasive plant control in Queensland. Such action will be beneficial to the environment and its biodiversity.